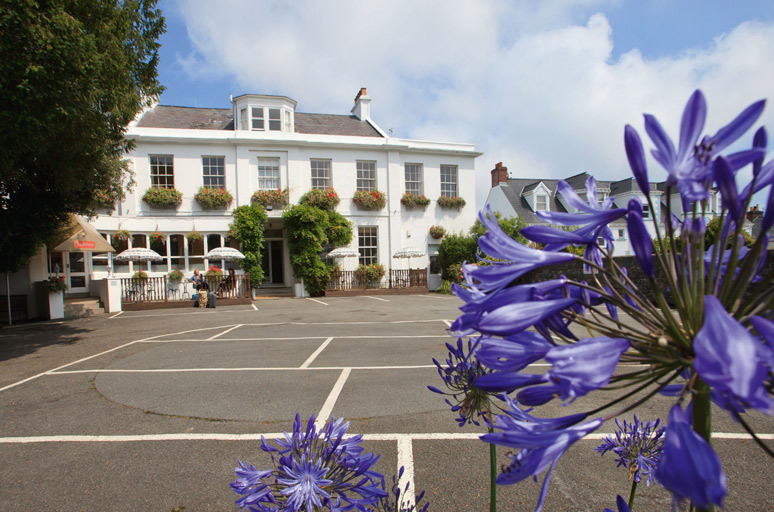 Look forward to the warmest of welcomes at this delightful family run hotel which is around 15 minutes walk from St Peter Port's many shops and restaurants. The garden terrace is a real sun trap and a wonderful place to enjoy a sundowner, relax with your favourite book or perhaps take a dip in the large pool. The restaurant and bar provide a stylish setting to dine or socialise and are popular with locals too. 22 Individually decorated standard rooms, which overlook the gardens with TV, telephone, tea and coffee making facilities and hairdryer. Breakfast. Dinner is available payable locally. 0-1 free by sea or from £49 by air. 2-11 from £55 by sea or from £49 by air on room only.